CW36 corrugated panels, in 22-mm (7/8-in.) 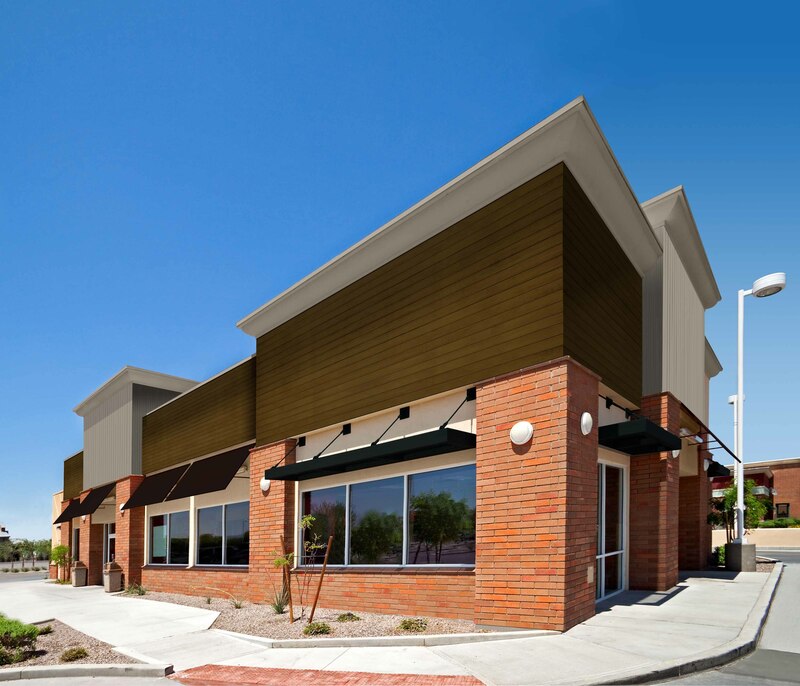 size, provide a sleek linear look for the exterior of commercial and industrial buildings. The panels are available for both wall and roof applications. They are specifically designed for use on commercial retail, winery, and mixed used projects. Wall panels can be installed vertically or horizontally. The minimum roof slope required is 5:12. The standard exterior metal surface is embossed 26 ga G-90 galvanized steel with PVDS and SMP full-warranted exterior coatings. The standard interior metal surface is embossed 26 ga Imperial White. Panel width: 914 mm (36 in.). Panel length: 2.4 m (8 ft) minimum to 15.2 m (50 ft) maximum. Insulation material: CFC-free, foamed-in-place polyisocyanurate foam 2.1 to 2.5 pcf density. The joint configuration for CW36 panels is overlapping with exposed fasteners and saddle washers. Metal facings are 26 ga galvanized steel, with 24 ga available. A 26 ga galvanized finish is available for natural and metal appearance. For coatings, PVDS and SMP are available, as well as other coatings. CW36 is manufactured by All Weather Insulated Panels (AWIP) and distributed in Canada by Vicwest Building Products. AWIP’s products have been extensively tested under a variety of North American standards. East of downtown Kingston, Ont., overlooking the St. Lawrence River and Lake Ontario, the Royal Military College (RMC) is notable for its blend of modern academic, athletic, and dormitory facilities, with century-old buildings. Space-heating accounts for more than 60 per cent of the total residential energy consumption in Canada, but for the coldest parts of the country, it represents more than 70 per cent of the total household energy use. Detailing parapet and soffit assemblies requires an understanding of structural building movement and, thermal performance requirements, air control, material limitations, and construction technologies, along with trade co-ordination. 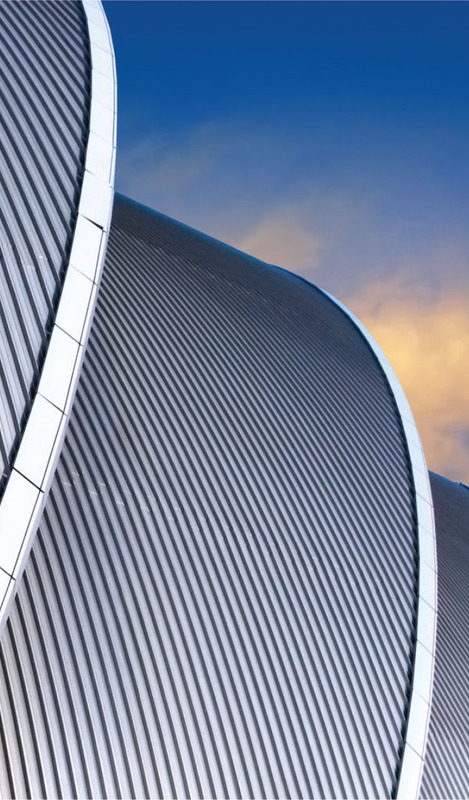 This article examines some of the advantages, characteristics, and cladding choices that ‘zinc’ (or, more accurately, architectural rolled zinc) offers the built environment. The material is a mixture of titanium, zinc, and copper; essentially, it is an engineered, non-ferrous metal alloy of high-grade zinc.